When ordering your custom printed cups, it is important to distinguish between the different types of cups that are usually offered by most suppliers. Most ice cream shops offer customers more than just ice creams. They usually serve cold drinks, teas and coffees as well. Here are 4 types of cups that can be purchased for different serving needs. Hot Cups – Hot cups are used to serve hot beverages, they should be poly lined. However, most servers will double cup these cups to make sure the beverage is secure and safe for the customer. This means that you will have to double your quantity of each order. Cold cups – When the weather gets warmer, most customers will come in to cool themselves off and order their favourite lemonade, fizzy drink, smoothie or iced tea. The cups you choose should be larger in size, have a strong poly lining coating and be leak resistant. Remember to check if your sample cup fits securely into most car cup holders. Insulated hot cups – If you want added safety and to eliminate the need of double cupping or including a cup sleeve, this option is the best for you. These cups will ensure that your customer can easily drink and transport their hot beverage without leaks and burns. Dessert cups – Polylined dessert cups are great to serve frozen treats like ice cream, frozen yogurt, and gelatos. You can add plastic yogurt spoons as an additional order as most suppliers will offer these on their product listing. 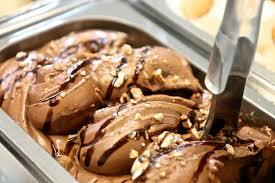 Gelato Products in one of the best gelato cups and spoons suppliers for Gelateria owners.